Mortice locks are a lot more stronger and secure than a bored cylindrical lock. 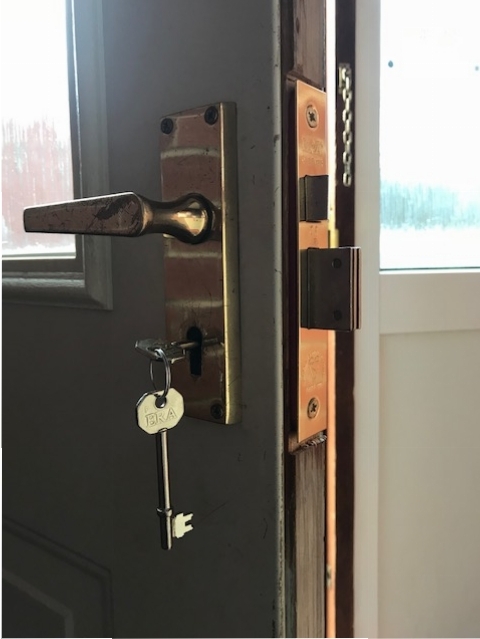 Ironically, the strength of Mortice locks when initially installing it, can weaken the structure of a typical wooden door. This is offset however, because if you choose a 5 lever Mortice lock your home will be more secure. As well as strength, Mortice locks are also very versatile. They can accommodate a more heavier return spring as well as a more solid internal mechanism. This means they can typically work with different manufacturers cylinders and accessories as well. Fitting a secure Mortice Lock on your property is important to homeowners and insurance companies alike. Most insurance policies will require at least one of the locks on one of your external doors to be certificated to BS 3621, or have 5 levers, preferably both. The most secure Mortice Locks have 5 levers, so these locks will be compliant with all insurance policies. As a homeowner what do you need to do to check if your lock complies to these standards? First you need to check your lock. If you are unsure where to look to see if your lock is of BS 3621 standard, you can locate the British Standard kitemark on the face plate of the lock. Please be aware that if it isn’t there, your home insurance policy could be compromised. If you have any questions about whether your lock is compliant just give us a call on 01709 630027 and we’ll be happy to help. You can also fit thief resistant Mortice locks to your property for extra security. These are generally used in entrance doors to houses and properties and they have lots of thief resistant properties. One of these is that the lock has 2,000 different key combinations, this makes it extremely hard for any thief to gain access by lock picking. The locks also have hardened steel spindles in the brass deadbolt. This is to prevent the cutting of the deadbolt. They also have a hardened steel plate over the lock casing that will prevent drilling through the lock. To find out more about the Strength and Security of Mortice locks, ring Stephen direct on 01709 630027 if you are in the Rotherham area.